Sorry I hit the wrong button! Fabeck above. Casualties is a tricky one. If you want the total for 1 July 1916 for the Thiepval area, which stretched from St Pierre Divion to the Leipzig Redoubt, you need to include casualties from units such as Bavarian Infantry Regiment 8 and the Recruit Companies of IR 180, who lost heavily in the Schwaben Redoubt counter-attack - and there were others, such as 'Musketen' teams, MG teams from RIR 119 and an MG 'Detachment Fasbender'. (2nd Recruit Coy, for example had 23 killed, 98 wounded and seven missing). Unfortunately the history of RIR 99 did not include a full casualty list, but if Ralph Whitehead sees this post, he has got a great deal of knowledge on this subject. Suffice it for now to say that by about mid afternoon 1 July, 52 Res Infantry Brigade, having issued an order: 'RIR 99 must hold its position, even if it bleeds to death', reported to 26th Res Division tht it had lost 50% of its strength. Post-war, the unpublished history of the brigade states that the total casualties during the ten days from the start of the bombardment amounted to 70% of the regimental strength- and this was a four battalion regiment. At the start of the bombardment battalion strengths in the division ranged from 850 - 900 men, so you can see that it is a large figure overall. I am in the process of reviewing the losses for the Somme including RIR 99. In the case of this regiment there are 5 full pages of casualties (each page is like the London or New York Times in size). The first list for this regiment appeared in August and from what I can tell includes all of the regimental losses from 1 July through mid month and probably some for late June as well. This is the biggest problem, not knowing the dates of the casualty. Still, it gives me some idea of the overall losses. It seems that three men listed as casualties in RIR 99 were from the U.S. Something I have found throughout the lists. I also have lists forthe other regiments and units mentioned by Jack, scattered through early August and into the month. Again, no dates. Some I can cross reference to other sources such as Bav. RIR 8 that does list losses and dates so it is possible to come to some conclusions over the number of wounded, sick and injured. I hope to have some concrete details as soon as possible. The only big difficulty at present is that last week I bought a new house and sold mine. It was not expected but there you are. Now we are trying to get things ready here and prepare for the closings, etc. I will post as soon as I can. Robert, why the interest in RIR 99? I am interested in their involvement in the defence of Gommecourt, 1st July 1916. The answer is no and yes in that order. There are hardly any German divisional histories at all. There is nothing for the 111th itself, but each of the constituent regiments published a history and I have copies of all three; that of IR 73 being particularly detailed. FAR 221 did produce a history. I do not have it, but it was published as Kgl. Preuss. FAR Nr. 221 Erich Scheitza, Berlin 1933. Let me know if you want further assistance. Thanks for that I will try to track down the FAR 221 history. Their role in defeating the 46th Division at Gommecourt was significant and it might be useful material for the next project on their attack. See my prior message for answer to your query. Thanks for your help. I guess that is why I could find a reference with a simple answer - there is no simple answer. I hope the house moving goes well. I have located a copy of the 221st FAR and should have the pages ready for you shortly. I hope it holds some good information for your research. I've done a number of posts under a different thread. > secretary and simultaneous translator. > with the Kaiser's Spring Offensive, 1918 around Ypres. > If it helps, Herr Ratajczxy won an Iron Cross sometime during WW1. > military career and hope that you can help in my research. there was no "German army" in those times but armies of the German single states (except navy). I suppose that Bernhard Alfred RATAJCZYK belonged to the Prussian army. 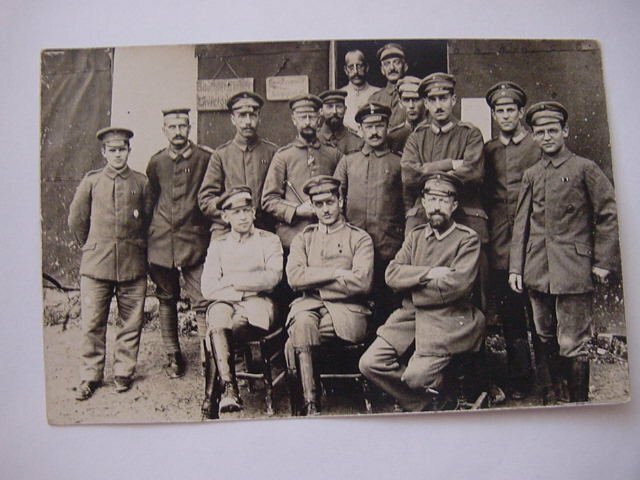 Military personal files of the Prussian army got lost during World War II, except military hospital records of wounded soldiers. 1. He was not an officer. 2. Do the two attached photos (see Forum posts) reveal anything? 3. He was born in Berlin, Neu-koelln 4 3 1895. 4. He lived there through WW1 until the early 1920's. 5. His Iron Cross was 2nd. class. 7. His son-in-law (my late father-in-law), Lt. Col. AWC Major (MC and two bars, Order of St. George and Order of St. Anne with Crossed Swords), was of similar age to him. 8. The two fought against each other on the Western Front, we think around the time of the Kaiser's Spring Offensive. I know AWCM's locations 1915 to 1918. He was evacuated wounded 4 4 18. 9. AWCM's wife (Herr Ratajczyk's daugter) is 80 and lives with us. If there are any questions you want to ask to help in our search for her Dad's WW1 whereabouts, please ask. 10. In WW2, Herr R's parents had eight children. 6 died in childhood. Herr R and his one surviving brother were sent to the Eastern Front. The brother (Rudolph) was killed in action. His parents successfully petitioned the authorities that the one surviving child be transferred to the Western Front. 11. In WW2, Herr R. was sent to Poland (near Bromberg in the Polish Corridor) as a teacher (Hauptschullehrer). 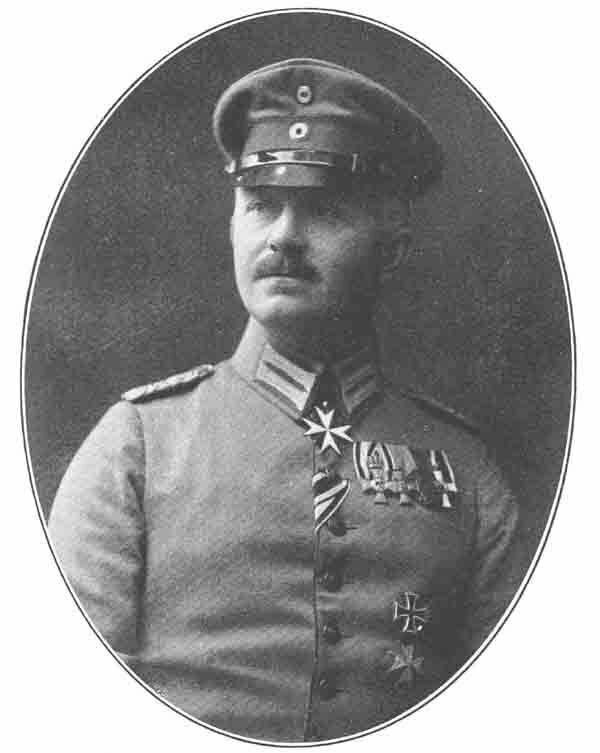 In 44/45, he did the march back to Germany between the advancing Russians and the retreating Germans. His group missed the last boat out of Gdansk (Danzig) - luckily, because it was sunk with all hands lost. However, there may be another way of tracking down Herr R's unit. 2. The group photo (with woundbadges dating from the time of the Kaiser's 21 March 1918 Spring Offensive) must date from then. Incidentally, the right-hand sign hung on the building, the one that reads 'Campzimmer Kriegsgerichte' has the words on two lines with a logo of what looks like a stylised artillery piece in between. Question: In a list of Divisions, would Guards Divisions be Prussian Guard Divisions? Right, mum-in-law remembers that her father and husband were 'close together' in opposition to each other. I know in detail where her husband (AWCM) was at that time. 2 Suffolk Batallion=76 Brigade=3 Division=VI Corps=3rd Army. 2 Bt to battle zone on 12 March with HQ at Wancourt. 2 Bt @ 3 Div's extreme left with its left on Arras/Cambrai Road at Cavalry Farm. Took a hammering, with few losses, on 21 March with artillery and gas. 24 March. 9 Brigade relieved 76 Brigade. 2 Bt moved to old german trenches north of Neuville-Vitasse and dug switch line from Telegraph Hill to Ficheux. 27 March. Back to Wancourt. Neuville-Vitasse proved to be the limit (in that sector) of the German advance. Battle of Wancourt is called Battle of Arras 1918. 30 March. 2 Bt. relieved by Canadian troops and went to Sombrin. For conspicuous gallantry and devotion to duty. When the flank of the batallion was in the air, he was ordered to move his company to form a flank defence and, although very painfully wounded, he personally posted each section to the best advantage, saving the position for some hours. He kep a Lewis gun in action himself when all his gun teams had become casualties and was the last to withdraw, covering his men with his gun and holding off the enemy at close range. Actually, there was an NCO with him whom he ordered to kneel so that he was able to rest the Lewis gun on the man's shoulder to be better steadied given that he was shot through the hip. I wonder if the poor NCO became deaf. I hope he got a medal too. On 4 April AWCM was evacuated to England. In August, he was sent to Archangel, Russia. From N to S, the British Order of Battle was: 3 Army...XVII Corps...3 Div...34 Div. etc. From N to S, in the same general area, the German Order of Battle was: 17 Army...XVIII Corps...VI Reserve Corps...XIV Reserve Corps etc. SECOND LINE. 1st. Guard's Reserve Division. Are we any closer to finding out which unit he was in??? Here is the second photograph. Would be very interested to know if your information on the Reserve Infanterie Regiment Nr 208 has any information from around the 29/4/18 such as location and inparticular if they suffered any casulties on that day or the day before. The history of RIR 208 is particularly indifferent. The regiment was in French Flanders from 9/4 - 8/5 1918. On 24/4 the 1st Bn was in a rest area near Neuve Chapelle. The regimental staff moved to a new command post to the east of Lacouture to avoid heavy shelling and the implication is that the other two battalions were forward somewhere near La Couture. They seem only to have had one battalion in the line, with one in reserve and one at rest, but I cannot make up my mind what the roles of the 2nd and 3rd Bns were that day, nor is it possible to say what casualties they suffered. The tour as a whole was costly in terms of casualties, but the figures are not clearly broken down. I cannot help you more than that I am afraid. I see your question concerned the 29/4, not the 24/4. Well unfortunately there is even less information about that day. All the history says is that they carried out an internal relief in the line operation, but not who did what! mortars. In the afternoon gunfire increasing to barrage continuing to 7p.m.. Casualties were especially high on the 7th because of the barrage and mortars. I have been reading a secondary source on the Great War, and it cited Der Weltkrieg 1914 - 1918, Band 13. I have, as far as Baende 1 - 12, 17 copies, all but Band 11, with duplicates, and I am supposed to receive Volumes 11, 12, and the railroad volume (although I think that the dealer is trying to cheat me), but I have never heard of Volume 13. I assume that Band 13 is excessively rare. Are there others? I think I have heard of one or two volumes on economic questions. Is there a Band 14? I know that the later volumes are exceptionally scarce. Can anyone cite the entire series? I am back in town .. There are 14 Volumes on "Der Weltkrieg 1914 - 1918"
Got a new book thats perhaps of special interest for you. I only have volumes 1-11, so would like Volumes 12, 13 & 14 when you have done them. Any luck on the books I mentioned a couple of months ago? The time for one of these books equals almost more than 10 regimental histories. ..But i will check book 13 and 14 .. maybe i will do these same as 11 and 12. It should be quite easy to get the first 10 books .. or am i wrong there? You are quite right. I had no problem via ZBAV or e bay in obtaining 1-11. I have been trying to get 12 for about two years - so I am still in the market if you can manage anything! have just joined this forum. Wonder if someone may help me. At that time he was a socalled "Leutnant der Reserve". Have explore here that there is a book containing information of this Regiment Nr. 91. What is the content of this book, kind of information? Would be glad to get an answer soon. RIR 91 has a good regimental history: Res.Inf.Regt. Nr. 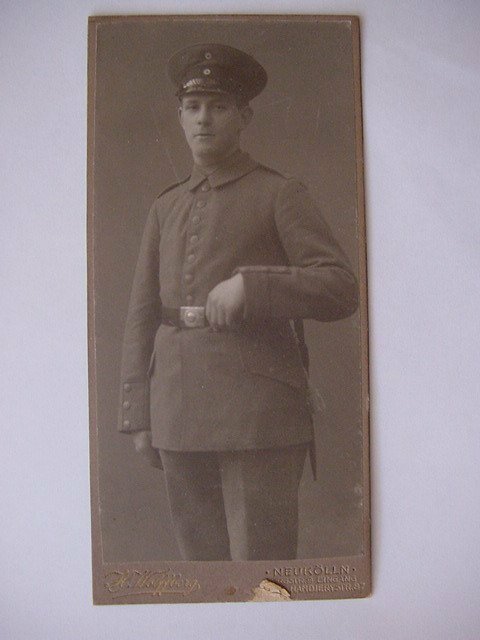 91 im Weltkriege 1914-1918 Kuemmel, Leutnant d.Res. a.D. Adolf published by Stalling, Oldenburg 1926. Occasionally second hand copies come up for sale and it is available in certain specialised libraries. Interests:Romanian Campaign 1916 and the Eastern Front. The German, Russian and armies of the Balkan states. Artillery use, tactics and development during the Great War. Jack there is a broken set for sale at the moment, and includes vol. 12. Not sure if you'd be interested. I've seen at least one complete set for sale in the past year, and at a good price. Tried to get the fellow to sell me just vols. 13-14, but he wouldn't hear of it. Are you interested in the railroad Band 1 volume? If so, PM me. I would appreciate any information that could be provided in relation to the disposition of Rhenish Infantry Regiment 28, part of the 16th Infantry Divison, VIIIth Army Corps; in particular for 1917 and the period of January, February, March and April 1918 but as much as possible throughout the whole war as well if possible.